Western Sahara: What Panama’s double game is all about? Diplomatic relations between Morocco and Panama are currently on a knife edge, because of the Panamanian government’s double game. After it withdrew its recognition of the so-called Sahrawi Republic (SADR), Panama authorized on Thursday the reopening of a SADR representation in the country. 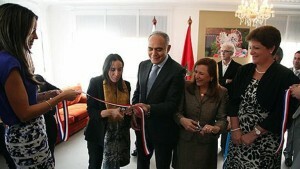 In April 2014, the Panamanian Vice-Minister of External Relations inaugurated the headquarters of the Embassy of Panama in Rabat. But eight months later, in December 2014, the Vice President of Panama, Saint Malo Isabel Alvarado turned an about face and received the so-called Foreign Minister of the ghostly SADR Mohamed Salem Ould Salek. She had then promised an imminent resumption of diplomatic relations. The promise was fulfilled Thursday, January 7, 2016 as Panama allowed the reopening of the diplomatic representation of SADR and the return of so-called “Sahrawi ambassador” to his post in the Panamanian capital. The double game of Panamanian leaders may significantly harm their relations with a state whose sovereignty is universally recognized in favor of a puppet entity that is not recognized by the UN or the European Union. More importantly, Panama’s decision comes on the eve of a visit that the Moroccan Foreign Minister, Salaheddine Mezouar, was to pay to Panama to dedicate, according to unofficial sources, Morocco’s new Embassy. The dedication ceremony was slated for next Monday. Rabat is rightfully entitled to clarifications on the part of Panama’s leaders as to their foreign policy, fundamentally marred by contradictions, and it is now up to the Moroccan Foreign Minister to set the tone.